Moving is something that something few people look forward to, at least the physical move. It doesn’t have to be that way. 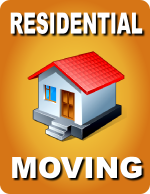 Finding a quality residential mover will allow you to benefit from their years of experience in the field. They can alleviate a great deal of stress by planning, packing and shipping your entire move for you. Many client friendly moving companies will allow you to use their services to whatever degree you choose.